Designed to simulate the minimum effort exerted in real aircraft. 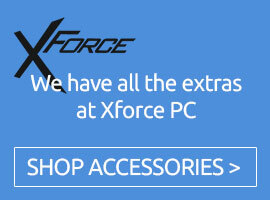 Ultra-resistant, heavy duty range. Construction 90% metallic. Pedals 100% manufactured from aluminium alloy. Driver incorporated to adjust the maximum force exerted (for people who prefer a smoother touch). Two holding types: through hollows in the platform base or with Velcro straps. Compatible with Windows 7, 8, 8.1, and 10. Unbreakable, guaranteed. 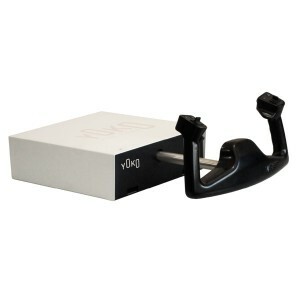 Virtual-Fly produces RUDDO Pedals with a superior commitment on durability. Its metal case with aluminum and solid steel parts as well as all mobile components are designed for a long lasting performance. 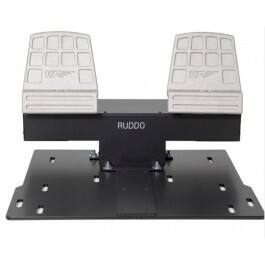 RUDDO Pedals are equipped with load cells (pressure sensors) on its differential brakes so you don´t have to worry about exceeding strength applied to the pedals or loosing precision on its performance. Incredibly real! 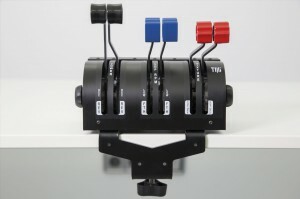 Brake force differential activated according to the force exerted (incorporates a series of pressure sensors also called "load cells" that calculate the pressure exerted by each foot). This product ships direct from the manufacturer and takes about 10 days to be delivered.